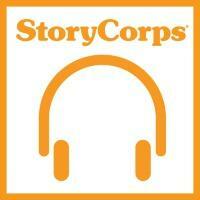 Northern Michigan Voices presents local stories from local voices recorded during July of 2014 by Story Corps. The recordings were then edited down by the NMU Advanced Audio class under the direction of the late Dr. Charles Ganzert. Frida talks about her experience of cross-country skiing to the North Pole and the difficulties therin. Gary and Anne Stark talk about their first vacation to the Upper Peninsula. They went camping and Anne tells how it seemed so miserable. She continues to say how beautiful it was. “Out of a Disney movie” Anne says. During the camping trip, they tell a story about how they thought there was an axe murder coming to get them. Jane Ryan and Mary Snitgen discuss how and why Women Out Of Doors was formed and what it entails. They talk about how grateful they are to have the entire U.P. at their disposal. They talk about a few outings they enjoyed and some accomplishments they are particularly proud of. Harold Nicholson talks about watching his mother cook pies, his first pie that he made, his favorite pies, and his aunt. Carroll Ann Swanson talks about her life after moving to the U.P. And how she wanted to do social work with elderly people. Her first opportunity was to work with teenagers instead, and she knew right away that was what she wanted to do with her life. Dr. Steve Nelson grew up in a small town in Iowa, and his stories are about his family and friends there. Susan Morgan talks about her struggles in trying to identify as a “Yooper” having not been born in the U.P.